Five Ira A. Fulton School of Engineering faculty members have earned prestigious CAREER Awards for 2009 from the National Science Foundation (NSF). The awards acknowledge the research, scholarship and teaching accomplishments of scientists and engineers in the early stages of their careers, and recognize those who are demonstrating the potential to be leaders in advancing research and education in their areas of expertise. 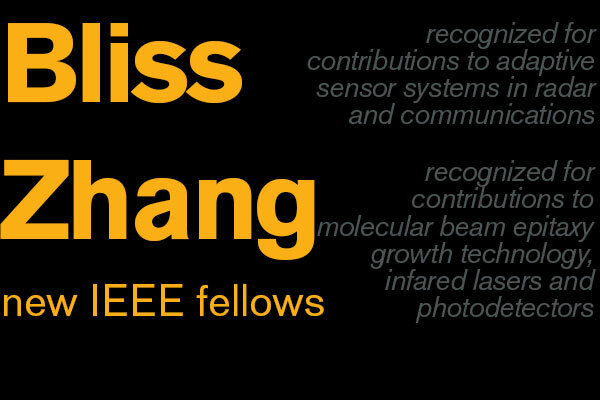 Chae is tackling fundamental questions about the use of molecular probes in biosensors. With such knowledge he will explore ways to construct an assemblage of micro-scale components in instruments for biological testing and research. He’ll do this by using MEMS technology. MEMS — micro-electro-mechanical systems — are like extremely tiny machines typically made of components between one and 100 micrometers in size. Chae uses a natural phenomenon to assemble his MEMS devices, based on the way proteins with low molecular weight are adsorbed (meaning how substances gather on a surface in a condensed layer) and displaced and exchanged by proteins with higher molecular weight. Generally, biosensors use molecular probes such as DNA, RNA, enzymes and antibodies to capture specific molecules that scientists and engineers want to examine. These probes offer selectivity, but have many limitations. The reagents that must be used are expensive. The probes have limited life spans, and it requires highly trained technicians to operate them. Above all, it is almost impossible to find probes to target each kind of molecule researchers want to study. Chae is solving the problem by utilizing nature’s “smart system.” His protein sensor does not use these probes, yet it has high selectivity. The proposed probe-less biosensor is packaged in a way that makes it resistant to environmental changes such as temperature, humidity and vibration, which degrade the sensor’s performance. This biosensor is a new concept that Chae says can lead to new and improved instruments for biological research. His methodology can be used for other types of MEMS-based devices employed in many areas of science and engineering research. His Career Award grant of about $400,000 over five years also will fund education programs on his research designed for K-12 students and teachers, as well as for college students and groups underrepresented in science and engineering, including women. Some students will have opportunities to see experiments and learn about the fundamentals of proteins and biosensors at an annual summer program for young students organized by ASU’s Ira A. Fulton School of Engineering. Chen’s work in computer science and engineering focuses on data management. She wants to improve the accessibility of Internet data for search engine users. Chen points out that Internet users employ Google to access millions of HTML documents accessible on the World Wide Web. In addition to this easily searched information, there is a “hidden web,” she says, that includes high-quality research, travel, commerce and manufacturing data stored in databases not easily accessed by search engines such as Google. “All this precious information is there and it oftentimes has much higher-quality information, but it is not readily available because it is not in HTML. My work will allow people to search these databases easily using simple keywords,” Chen says. Although research databases provide rich information and opportunities for researchers to collaborate, they also present difficulties for the average user. To understand the content of a database, the user must understand the databases’ organizing schema and query languages. Databases typically store highly organized raw data that has been optimized for efficient processing by the database designer. This optimization can make the data difficult for the untrained user to interpret until the user is taught to understand the database schemas and the optimizing decisions made by the database designer. Chen seeks to solve this problem with her simple keyword search engine. “I think we have a lot of opportunities with databases because we have a lot of meta-information that will help us to understand the meaning of the user’s search request and decide which portion of the database that we want to search,” she says. Her work promises to be “tremendously useful to everyone because search engines could potentially no longer be restricted to a subset of information available in HTML,” she says. Her Career Award will provide about $445,000 to support the research. Chen would like to develop a single interface that can search both HTML documents and databases using simple keyword searches. The NSF cites Chen’s work as a potentially transformative advance because it would allow the user to cut across the boundaries between information that is stored in distinctly different modes, and it would overcome some of the problems associated with traditional databases and methods of information retrieval. Jiang’s research promises to deepen fundamental understanding of how nano-scale structures can be made to function and improve the effectiveness of various mechanical systems on a macro-scale. That knowledge will enable discoveries in nanoscience and nanoengineering to be more broadly applied in practical pursuits. His NSF Career Award will provide about $400,000 over five years to support the research. The work focuses on carbon nanotubes macroscopic assembly — specifically carbon nanotubes macro-films. These macroscale structures with nanoscale details are proving highly effective in accomplishing myriad intricate technological tasks. Jiang wants to link the material properties and capabilities of carbon nanotubes to larger-scale materials and devices. Doing that will allow engineers to harness the powers of carbon nanotubes for use in conventional manufacturing operations. Learning how to better manipulate and assemble carbon nanotubes also will allow researchers to improve construction of the devices they use to achieve advances in nanotechnology. Such research could lead to the development of design guidelines for the assembly of larger-scale carbon nanotube-based networks. Those networks will expand the applications of nanotechnology in numerous areas, such as in solar cells and energy storage devices. Jiang’s work will be shared with the public, particularly young students, through outreach programs in partnership with the Arizona Science Center and the Phoenix Elementary School District. In addition, his research will be the basis for a new undergraduate mechanical and aerospace engineering course at ASU. Li is working in the areas of computer vision, multimedia processing and statistical methods in visual computing. His Career Award provides about $404,000 over five years for research into technology to aid visually impaired people. “We want to build a computer-based system to automatically create tactile graphics for people with visual disabilities,” Li says. His idea is to use computer technology to allow a person with visual impairments to read text or view web site content on-demand in the privacy of their own homes and work spaces in the same way as people without sight impairments. “We can develop a system so that people with visual impairments can have easy access from their laptops at home or in the lab – they can do everything themselves,” he says. 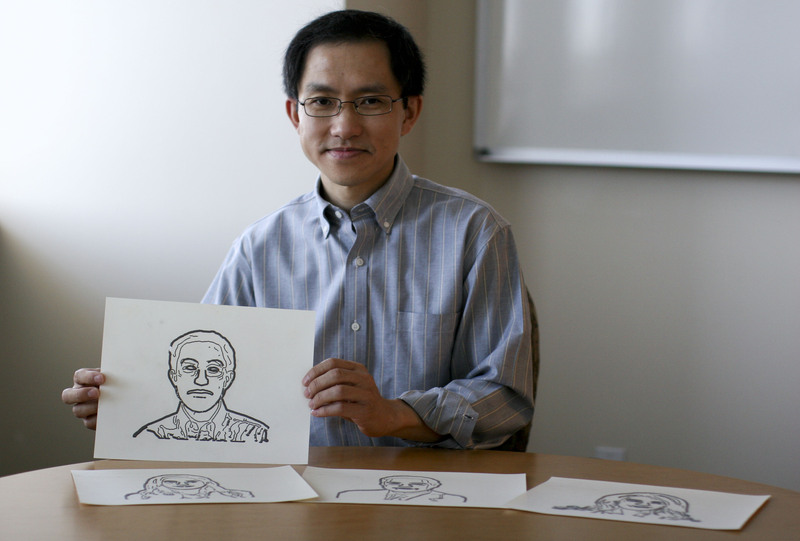 His research team is attempting to render representations of graphics usable by the visually impaired. One project is the development of software designed to “read” an image and render a tactile representation of that image. The effort to aid STEM students will have a broad range of applications in the areas of computer vision and pattern-recognition research. Li’s research group is collaborating with the Phoenix Foundation for the Blind, as well as ASU’s Disability Resource Center and the Center for Cognitive Ubiquitous Computing. Sodano’s work revolves around a discovery made in his laboratory that led to development of a process that employs nanostructures to increase the strength of fiber-reinforced composite materials. Fiber reinforced composites provide higher strength per weight than other structural materials such as metals. The improved strength-to-weight ratio is typically capitalized upon in high-performance devices, vehicles and sporting equipment such as military aircraft, golf clubs, tennis racquets and high-performance automobiles. The method uses nanowires to form an interface that bonds and blends fibers — such as carbon, glass or polymer fibers — with other materials. The effect of the nanowires gives the composite materials more strength, including better tensile strength and the ability to bear more weight and stress. “We are the first to show you can improve the structural performance of composite materials by using a nanowire interface,” Sodano says. A key improvement is that the process requires low temperatures to produce the interface — as opposed to prior technologies that required high temperatures, which can damage the fibers and thus reduce the material’s strength. Little is known about exactly what physical mechanisms are responsible for the increasing the strength of composites. 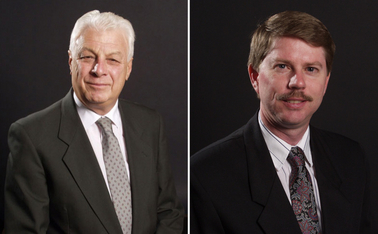 Sodano’s team will seek to understand precisely what properties lead to the improved performance. Learning more about the influence of the nanowire interface on the mechanical and multifunctional properties of fiber-reinforced composites promises to lead to broader applications of materials developed through this process. These new types of interfaces may pave the way for designs for improved biological implants and prosthetics that can better mimic the naturally occurring interfaces in our bodies. The process also produces materials with significant electro-mechanical coupling, meaning that it can interchange mechanical deformation and electrical energy. This energy conversion property of the composites increases the “power-harvesting” capabilities of the materials — meaning that they can be used to generate electrical energy. Imagine, Sodano says, an airplane wing made from this type of material. The vibrations of the wing caused by turbulence experienced during flight could be converted into electricity. Then that electricity could in turn be reapplied to the composite to perform structural health-monitoring, which would allow the structure to examine itself for wear and tear to determine the remaining life span of the wing material. His NSF Career Award will provide more than $400,000 over five years to support the research. It will also support projects to bring the work to young students. Sodano will establish an Engineering Science Night for middle school students and their parents to introduce them to the wide range of opportunities in the engineering field. The program will be offered in the Scottsdale Unified School District and then expanded elsewhere in Arizona. Sodano also will use his research as the basis for developing a new course for ASU’s mechanical engineering curriculum, as well as a hands-on research-based internship program in his lab for undergraduate students.